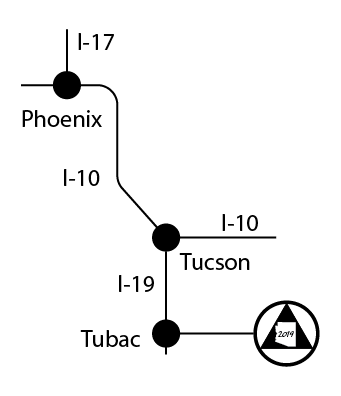 Take I-19 south to Chavez Siding Road (Exit 40). Turn left onto Chavez Siding Road. Turn right onto the I-19 frontage road. Go two miles to Avenida Otero and turn left. Take Avenida de Otero 0.6 miles to the Resort.